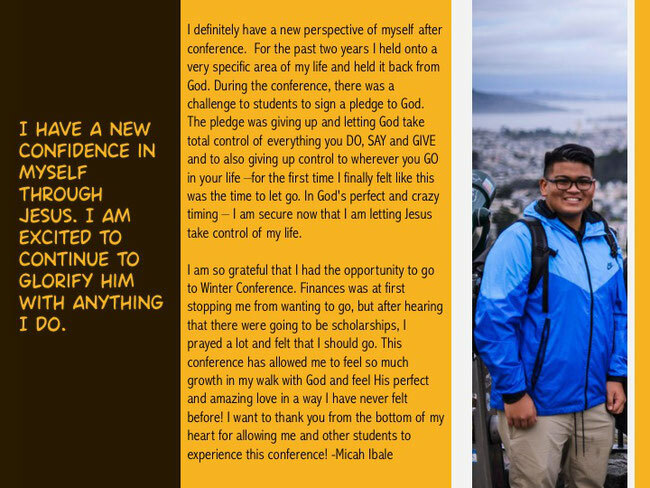 Winter conference gathers students into a unique environment crafted to help students move toward God, toward others and toward a life well-lived. 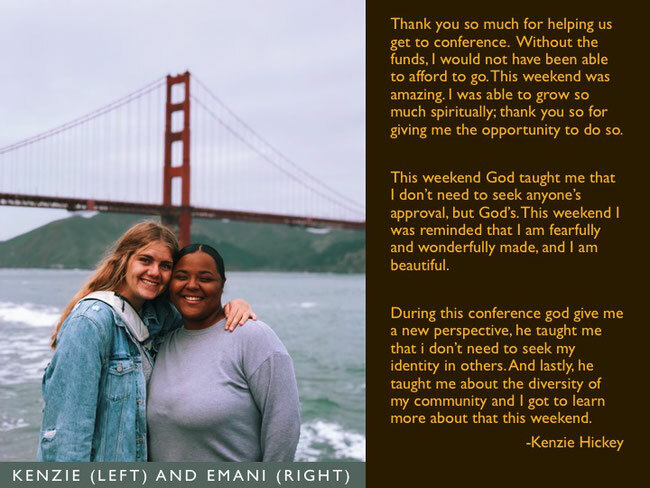 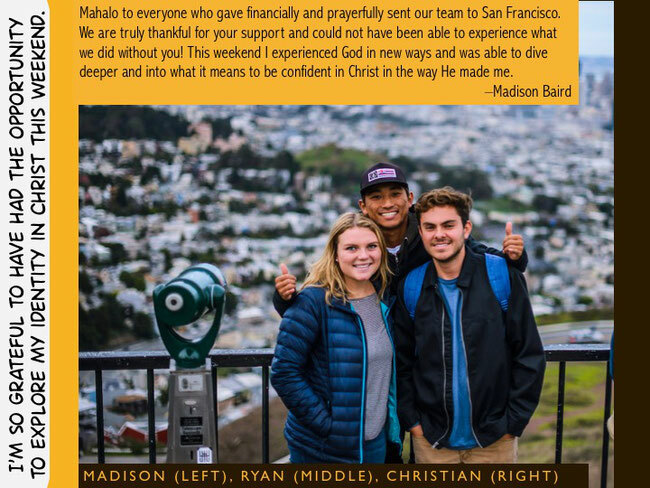 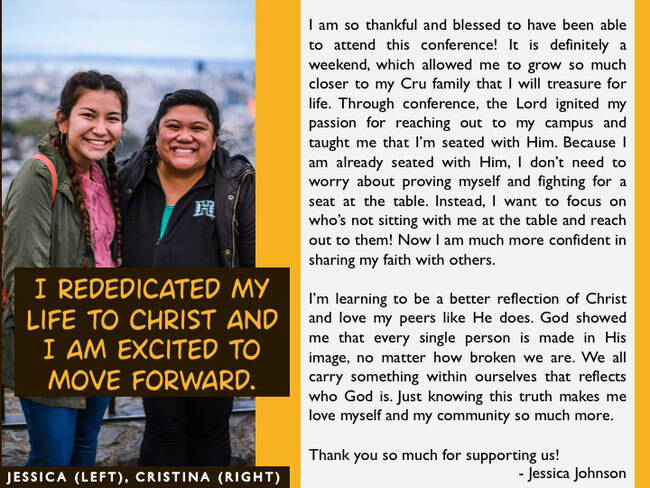 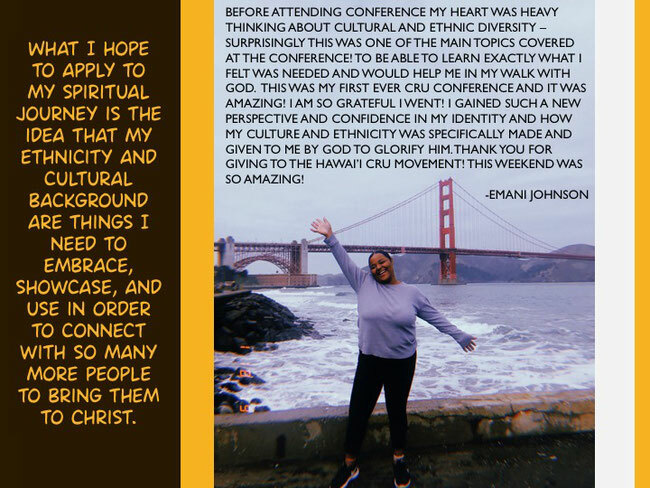 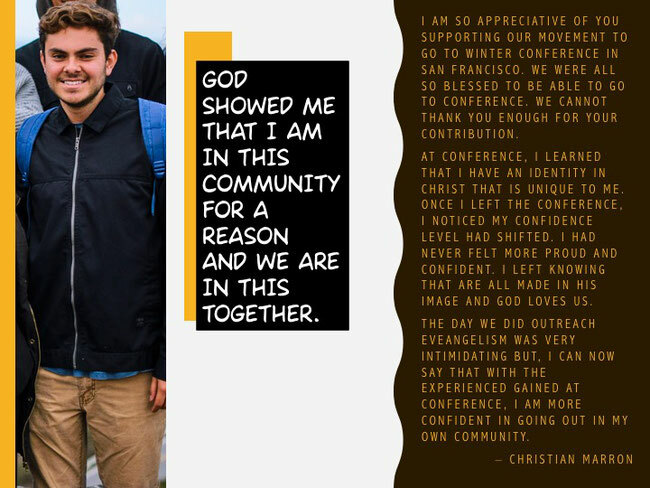 This year Hawaii Cru sent 12 students and 1 staff to San Francisco. 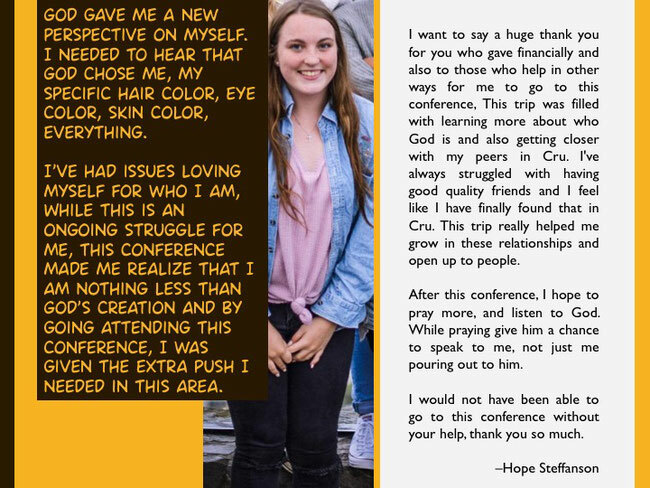 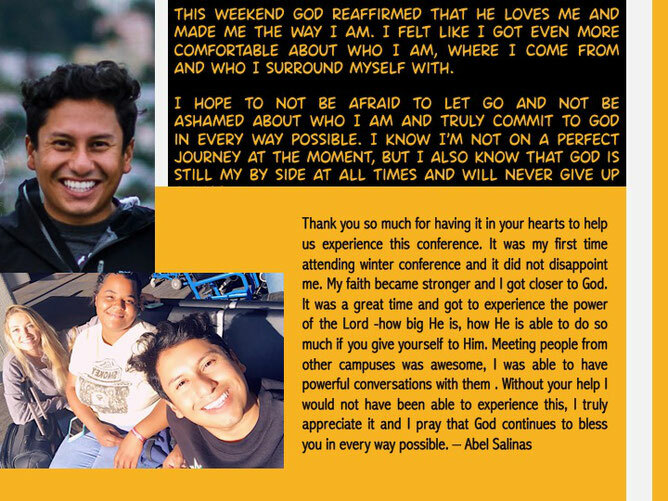 Below are their testimonies.